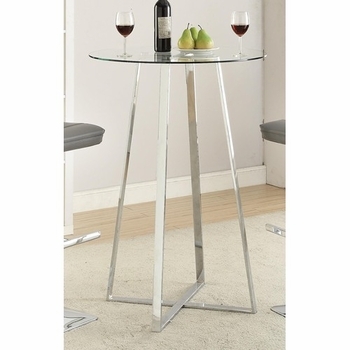 This small bar height table is the perfection addition to a smaller sized dining or bar area. 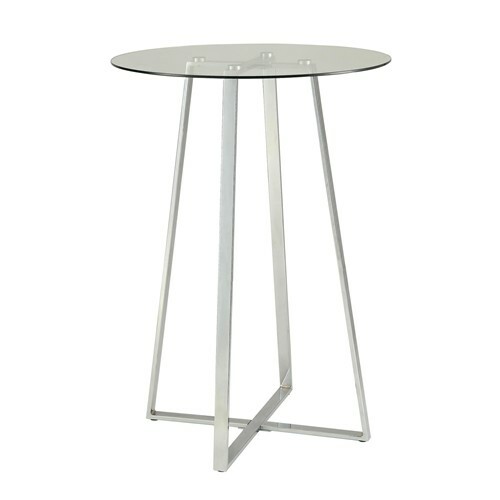 The small circular table top is made of glass and the base of the table from chrome, creating an airy piece that looks like it doesn't take up much space. Pair this table with upholstered bar stools for a stylish and modern bar height bar set.